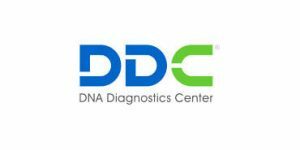 DDC (DNA Diagnostics Center) is famous for featuring some of the best relationship DNA tests, modern processing technology, free consultations, and competent user support. It is a true example of how a well-rounded company should look like. Keep on reading if you’re interested in paternity DNA testing and want to know more about the level of service DDC can provide. DDC offers 3 different paternity tests and we’ll cover them all in this article. 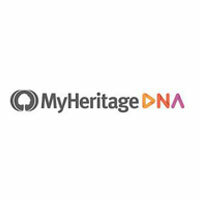 If you’re thinking about ordering a paternity test solely for the sake of your curiosity, this is the perfect option for you. The test follows the usual direct-to-customer method, meaning you’ll receive a unique DDC test kit and collect your DNA sample (cheek swab) in the privacy of your home. Once you have your sample ready, simply mail it back to the laboratory in the provided pre-paid express envelope. The kit is shipped 1 day after you place your order. You can expect your results within 24 hours after the sample reaches the lab. You’ll receive an email notification to inspect your final report on the official website. The test accuracy is 99.5% with positive results and 100% with negative results. The price of the test starts at 199$ and can go up depending on the difficulty of your particular case. The test is called “legal” because of special sample-collecting and chain of custody requirements, not to indicate the illegality of other options. You should order this test only if you need to use your proof of paternity as a legal document for the purpose of, let’s say, child support or custody, immigration, tax forms, will/estate, and court hearings. The sample collection process will have to be done by a professional in a certified institution, like a hospital or medical clinic. The chain of custody must be completely documented and any “lost time” will invalidate the legality of the results. The accuracy of the test is 100% since there’s no room for human error and sample contamination. Your court-admissible results will be mailed to you as soon as they are verified. The price of the test starts at 499$. This test is designed to determine parentage before the baby is even born. It capitalizes on the fact that fetus cells start floating freely in the mother’s bloodstream around the 8th week of pregnancy. 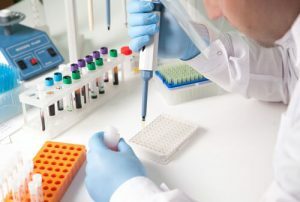 The test uses the mother’s blood and isolates fetus cells in order to compare its DNA with that of the presumed father. Your results should arrive within 3 business days. The price is not listed on the website, but we can tell you right off the bat that prenatal testing doesn’t come cheap. Payment plans are available, though.